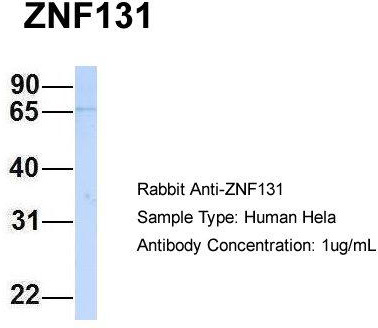 Detection limit for recombinant GST tagged ZNF131 is approximately 0.3ng/ml as a capture antibody. 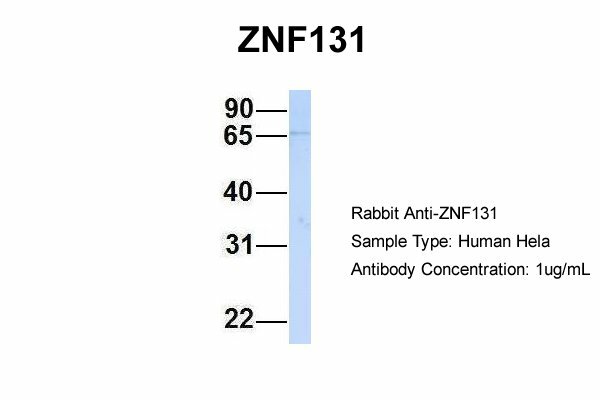 ZNF131 MaxPab polyclonal antibody. 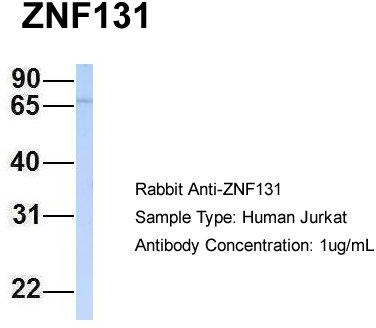 Western Blot analysis of ZNF131 expression in rat brain. 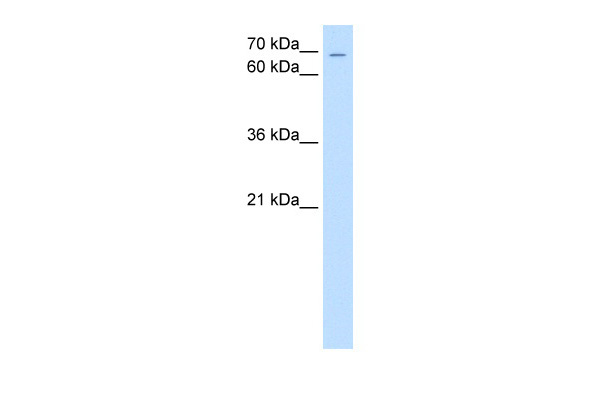 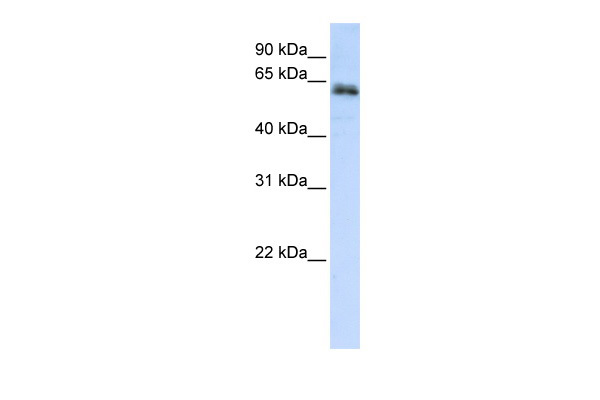 Western Blot analysis of ZNF131 expression in transfected 293T cell line (H00007690-T03) by ZNF131 MaxPab polyclonal antibody.Lane 1: ZNF131 transfected lysate(56.1 KDa).Lane 2: Non-transfected lysate. 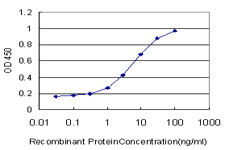 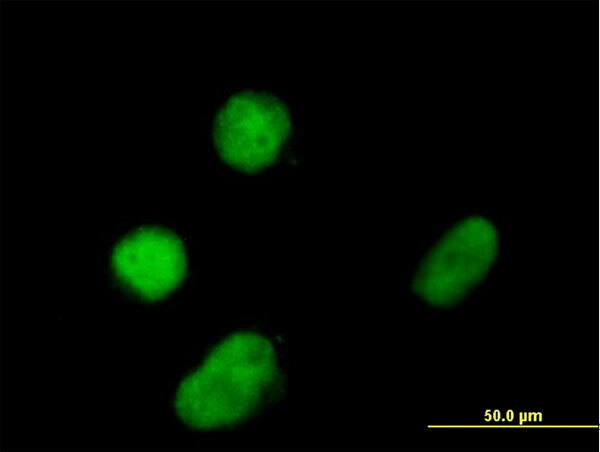 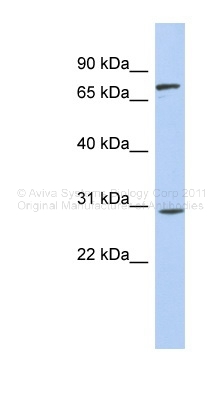 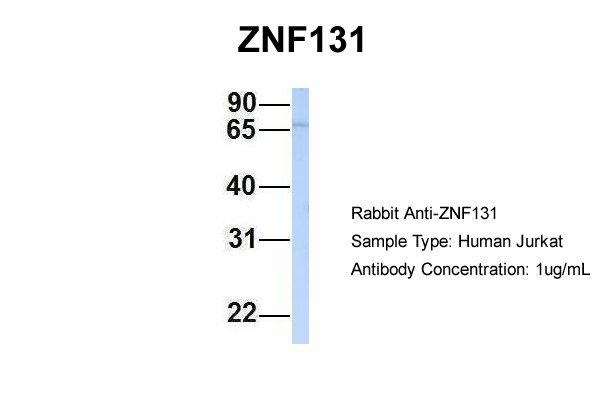 Immunoprecipitation of ZNF131 transfected lysate using anti-ZNF131 MaxPab rabbit polyclonal antibody and Protein A Magnetic Bead (U0007), and immunoblotted with ZNF131 MaxPab mouse polyclonal antibody (B01) (H00007690-B01).